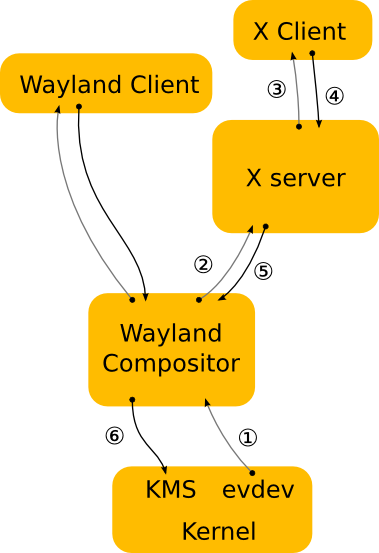 Follow the main Wayland build instructions first. The Xwayland server depends on libepoxy. glproto, xproto, etc are available from git://anongit.freedesktop.org/xorg/proto/*proto. libxkbfile is in in git://anongit.freedesktop.org/xorg/lib/libxkbfile. Run weston under X, or weston-launch on KMS / DRM / outside of X, just like explained on main Wayland build instructions. The weston log output will include "xserver listening on display :1". Within weston-terminal you will find $DISPLAY has already been set. Run any X client. Weston listens on the X socket until a client attempts to connect, then launches the X server.